Can a secure disc lock also be attractive? 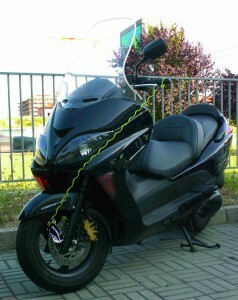 One of the aspects we take into account when buying a motorcycle is without doubt its appearance. This is also the case when we buy a helmet or a jacket. So why does a disc lock have to be ugly and have no style? Isn’t it possible to have a product which is not only secure but also attractive to look at? This was the idea which guided the design of the new Viro Shark and White Shark disc locks. As the name suggests, the shape of the Viro Shark disc lock resembles that of a shark which, once installed, bites the disc of our motorcycle. 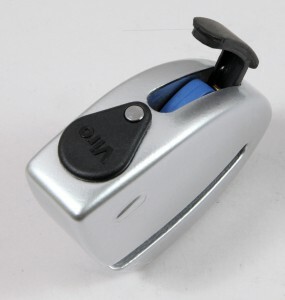 It’s a design which is not only pleasing to the eye, but also effective, since its rounded shape makes it difficult to grasp the disc lock with burglary tools or strike it with a hammer. The design makes the Viro Shark disc lock instantly recognisable as a high quality product which is difficult to attack. 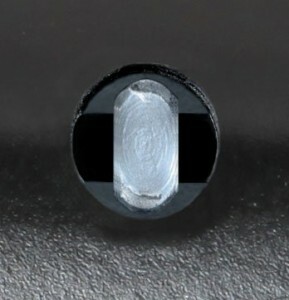 The Shark is equipped with a 5.5 mm diameter hardened steel lock-bolt, which, unlike common disc locks, has one end T-shaped, which, by turning the key, is anchored at the base of the body, thereby protecting the disc lock from attempts to break it at the slot. 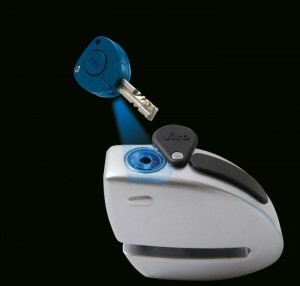 The particular locking system of the Viro Shark ,which blocks the lock-bolt to the body when the disc lock is closed, increases the resistance to burglary attempts. 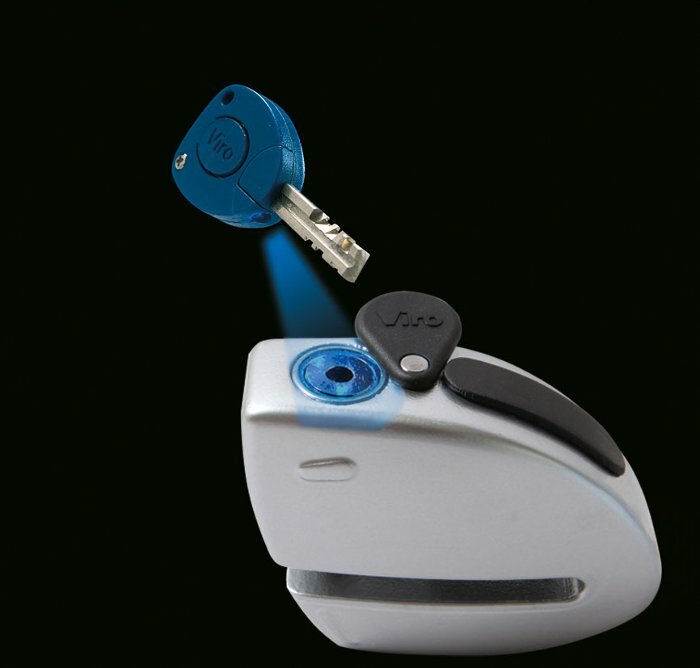 The Viro Shark disc lock can be made even more pleasing to look at with a customised print on the body. Here the only limit is one’s imagination: in addition to the shark proposed as standard, it is possible to print: the dealer’s logo, a slogan, a flag or anything else you can think of. 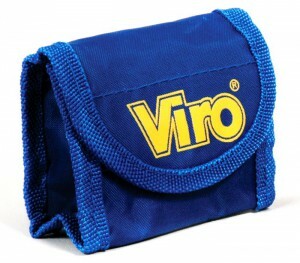 You can also create customised sets of just a few copies by contacting the Viro 2Ruote division. 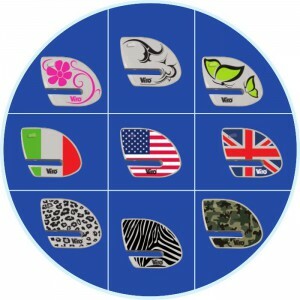 Some possible customised examples of the Shark. 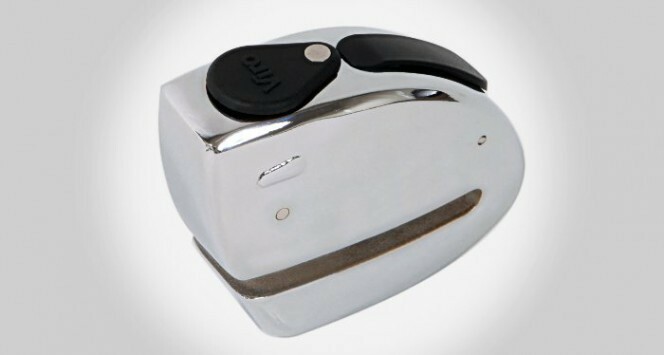 The “White Shark” version is available for those who want maximum security; this has a larger body (10×8 cm) and is made in one piece from case-hardened, tempered, copper, nickel and chrome-plated steel. In this version, the diameter of the lock-bolt is increased to 10mm, whilst maintaining the characteristic T-shape end which blocks the lock-bolt to the body when the disc lock is closed, thus achieving an extraordinary strength and resistance. 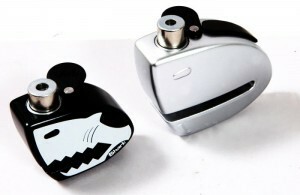 The White Shark (right) with the one piece steel body compared to the Shark (left). a reminder cable to be connected to the handlebars to remind you to remove the disc lock before driving off, to avoid falling off and damage to the bike. The Viro Shark disc locks, especially the one piece White Shark version, combine security with an original and attractive appearance, bringing together excellent engineering and beauty, just like the most successful motorcycles. Look at the data sheet for the Viro Shark disc locks e White Shark. This entry was posted in Locks, Motorbikes and Bicycles and tagged locks on 30 March 2015 by Mara Rossi.